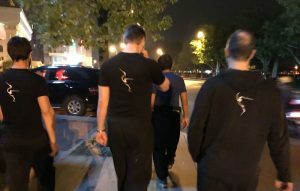 It is late November 2017 and a group of Instructors and Students gather once more in an airport to travel back to China for a week of soaking up the culture and training. Led by Chief Instructor Dennis Ngo our destination is Yongchun in Fujian Province – a visit to Mr Su Ying Han of the Yongchun Yi Yun Society. Mr Su and his family have trained in the White Crane System of Kung Fu since Mr Su was a young man over 60 years ago. But their traditions go back further than that. Amongst the group travelling was Instructor Crofton Black. 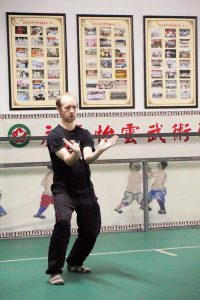 And he took the opportunity to learn not only more Kung Fu but about the history and culture of this corner of South Eastern China – and why it is so famous for its fighting styles (including our own White Crane Kung Fu). “We’re lined up on a wooden walkway spanning several hundred yards of the Tung Ch’i river. The waters flow muddy beneath us. The banks are lined with banyan trees, their branches bearded with aerial roots. A kingfisher perches on a protruding rock and keeps an eye on the shoal of little fish carelessly congregating beside it. On the signal of Mr Su Ying Han we salute and step into the first pattern, San Zhan, keeping time as he chants commands. astrolabe, dancing wooden parrots and performing puppets. They did not know that the Ming Dynasty, and with it their plans for prosperity, was nearing its end. A short drive outside the town, we ascend swiftly and soon are able to look back on Yongchun and its expanding highrise settlements. They sit nestled within a ring of hills hung aboutwith mist. Here, in the villages above the town, we are at the birthplace of Yongchun White Crane Martial Arts. A temple and museum commemorates the life of Fang Qi Niang, the system’s founder, and her lineage, marked up in a complex diagram on the wall. 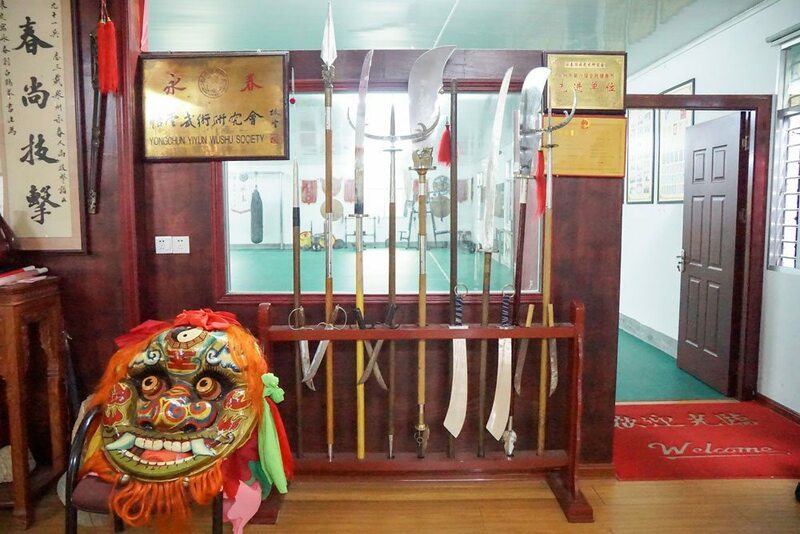 Wooden screens portray martial artists in fighting poses, glass cases house a selection of old and rare-looking volumes and in one corner there is a selection of stone weights and an enormous, rather rusty, bladed weapon. Beyond the temple, a verdant vista spreads out over the hills and towards the horizon. Fujian’s wealth accumulated despite, or because of, the province’s remoteness and inaccessibility. Fenced in by mountains, crisscrossed by rivers, its isolated valleys developed a great diversity of local subcultures. Access to the rest of China relied on difficult mountain passes. Perhaps this meant that the central government’s writ was less extensive. At any rate, as one historian has put it, “here the traders could evade bureaucratic formalities and intricacies”. 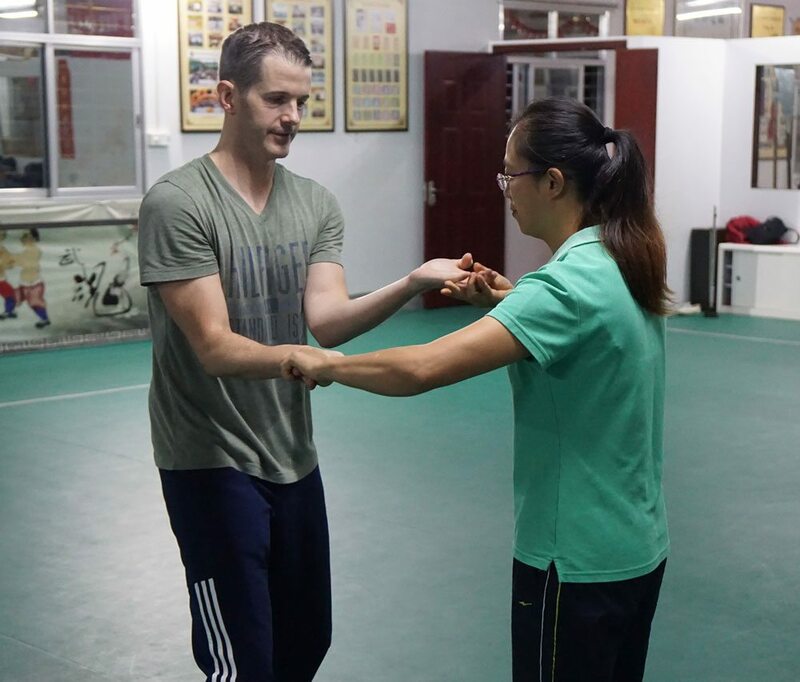 Richard Wagstaff training with Su Jun Yi. But as the Ming Dynasty collapsed, the region became a battleground. The local warlord Koxinga fought the invading Manchus from his military base near Xiamen. Ironically, given its relative independence from the central government, the province was to be the Ming Dynasty’s last line of resistance. In the second half of the seventeenth century the inhabitants’ access to the sea was cut off as the Manchus adopted a scorched-earth policy: coastal villages were burned, shipping was restricted and foreign trade banned. The days of cloves and coral were over. The days of emigrating populations and bandit uprisings were beginning. Yongchun was notably beset by the latter. In the nineteenth century the area was plagued by the Small Knives Association, “a grave matter,” according to local officials. Government troops struggled to contain the bandits as rebellion spread. The local god, appearing in a dream, suggested that the villages form militias to defend themselves. The bandits, based in He Mountain, invaded Yongchun in 1853 and again in 1864. They also threatened alliance with the feared “hairy bandits” of Zhangzhou. The villagers overcame them only after years of protracted warfare, sieges and massacres. Unlike previous centuries in Fujian, it was not a good time for wooden parrots, organs or puppets. But it must have been a propitious period for the evolution of Kung Fu. Mr Su’s training hall lies a few hundred yards beyond the river, round the corner from a factory producing the town’s renowned vinegar. 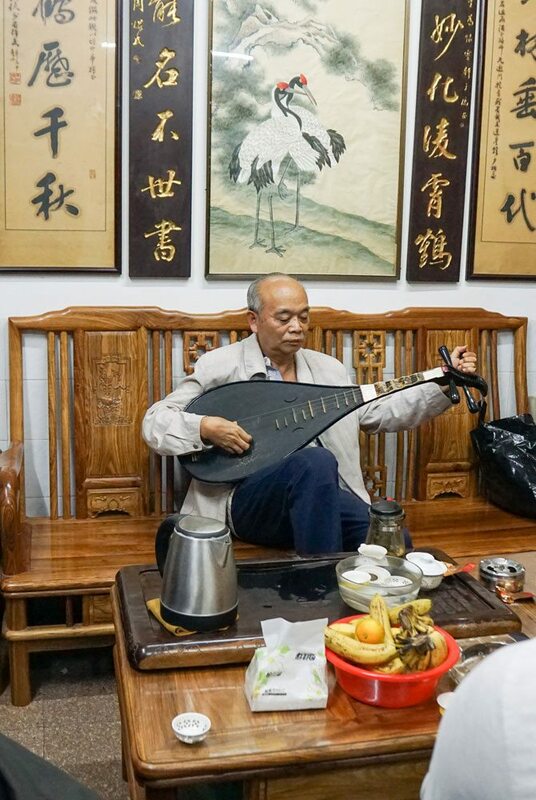 Here – when not engaged in the dogged pursuit of tasty morsels, which occupies us quite a lot – we practise our patterns for six hours a day: initially San Zhan, which we perform on the wooden bridge, and then the more complex Shi San Bu Yao. Learning a new pattern comes with a rush of excitement, my brain overloaded with unaccustomed combinations and movements which, as yet, I understand only dimly or not at all. Mr Su Ying Han plays the Pipa. Yongchun by night – the historic river lit up by modern day lights.